Gary Shepard was born in 1947 in eastern North Carolina. He was raised in a Southern Baptist Church, made a profession of faith there and began to preach in 1973 though being what Paul confessed himself to be before Christ saved him, "a blasphemer." Then about 1980 God began to reveal the truth of Christ to him and also in him. Like Jonah, he learned that "salvation is of the Lord." He found himself among those who are "taught of God" and having learned of the Father, he came to believe the Gospel of God's free and sovereign grace in Christ crucified. From that time, now over thirty years, he has preached the gospel wherein the righteousness of God is revealed. 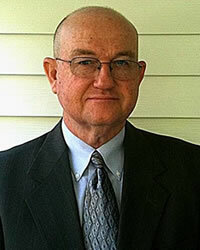 He is pastor of the Sovereign Grace Baptist Church in Jacksonville, NC.